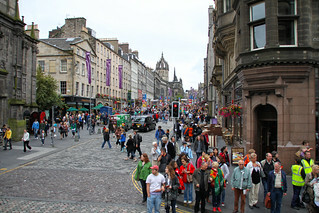 The Edinburgh Fringe is a 3 week festival that happens in Scotland’s capital city Edinburgh, every August. It is the world’s largest arts festival. In 2011 the festival lasted 25 days, with over 2,500 international shows from 60 different nations, spanning across 258 venues. It shows no signs of slowing its pace or decreasing its volume in 2012, with people from all over the globe pulled towards the city’s magnetic charm. The Fringe festival’s story dates back to 1947, when it was established as an alternative to the Edinburgh International Festival, which was created as an initiative to celebrate and enrich cultural life in Europe in the wake of the Second World War. That year 8 theatre groups turned up, even thought they were not officially on the programme. They set themselves up to do their shows nonetheless, and they were not stopped or opposed by the International Festival. As a result in the following years more and more theatre groups from all over the world followed suite, and it gained momentum and popularity until finally in 1959 the Festival Fringe Society was born, which still the body that organises and runs the Edinburgh Fringe Festival today. It continues to growing and broaden. It is not just theatre groups that make this unique festival; they have comedy, dance, physical theatre, musicals, operas, music, exhibitions and events to name a few. It is such a diverse festival, and you really do see things that you would not find in any other festival. For example last year you had acts like the Ladyboys of Bangkok, Ukulele Cabaret, and comedies such as ‘Waiting For Bono’ by Miss Hypnotique and John Callaghan. It also still attracts a multitude of amazing street performers, simply being in the city around the time of the festival will leave you wandering around in awe. In 2012 some of the amazing acts are Alan Davies performing ‘Life is Pain’, the musical comedy ‘Axis of Awesome’ and the fantastic stand up Andrew Lawrence. How has the Edinburgh Fringe been going so long? The reason it has managed to retain its diversity is because the festival has still to this day remained ‘unjuried’. This means that there is no selection committee, so any kind of act can perform. This means you will find much more experimental acts and things that would never be booked based on how commercially viable. The event now has a street fair, and a lot of the shows within the festival are free. The festival had the biggest crisis in its history back in 2008, when the computerised ticket system failed. Unfortunately this resulted in Jon Morgan resigning after just 1 year as Fringe Director. 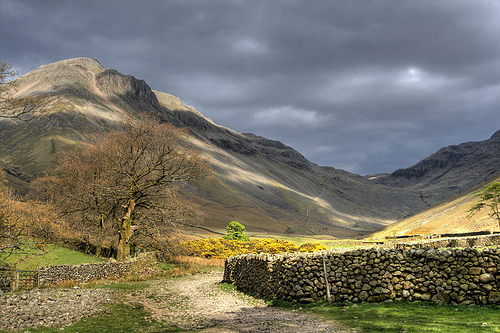 The financial backlash suffered by the Fringe Society has been estimated at over £300,000. It attracted a lot of attention from the media and mass criticisms from every direction. However nothing of the sort has ever hindered the festival being an artistic success, even in the year of the said crisis. The Edinburgh Fringe remains untainted, and keeps growing and exceeding itself each and every year.